View of the Abstract Canvas Mode from the second floor. The color palette shifts automatically to respond to a student’s presence at The Tribute Wall. 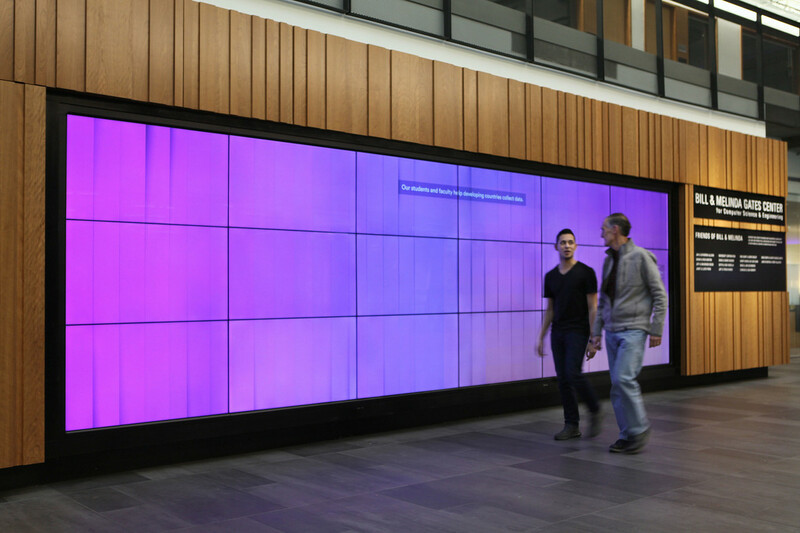 Interactive Story Mode opens a digital “curtain,” revealing content within. A view from above: Students exploring stories about Northwest computing. 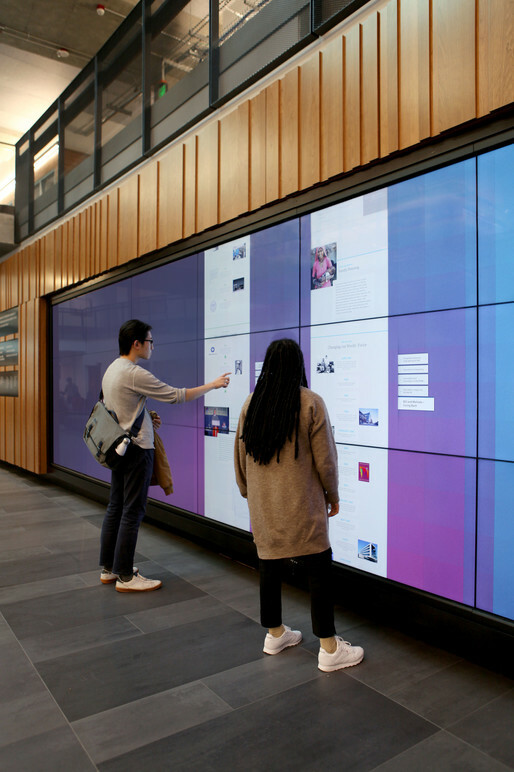 Curtains of content open to reveal stories and support multiple interactions. Intuitive touch interactions and flexible ergonomics ensure content is easily accessible to all. Multiple templates tell a variety of stories—including timelines, interactive infographics, and videos. 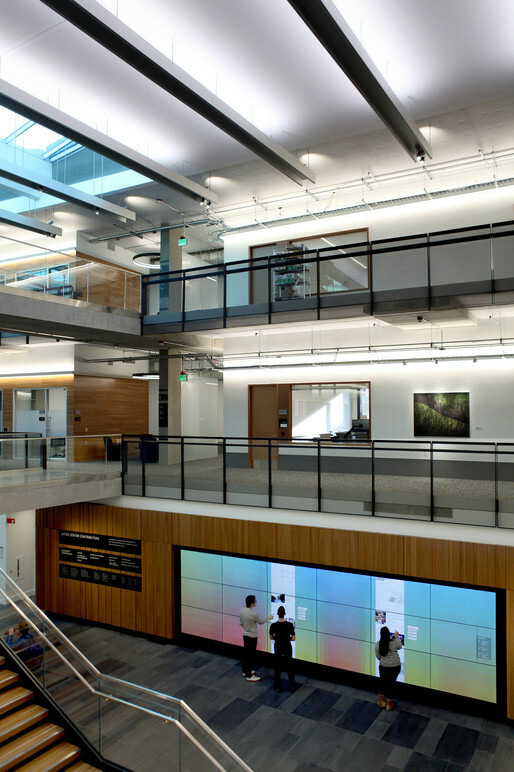 The Tribute Wall was thoughtfully designed to integrate with the interior design of the building. Intriguing phrases highlighting Allen School activity encourage visitor awareness and engagement. Custom infographics help to easily explain complex topics. 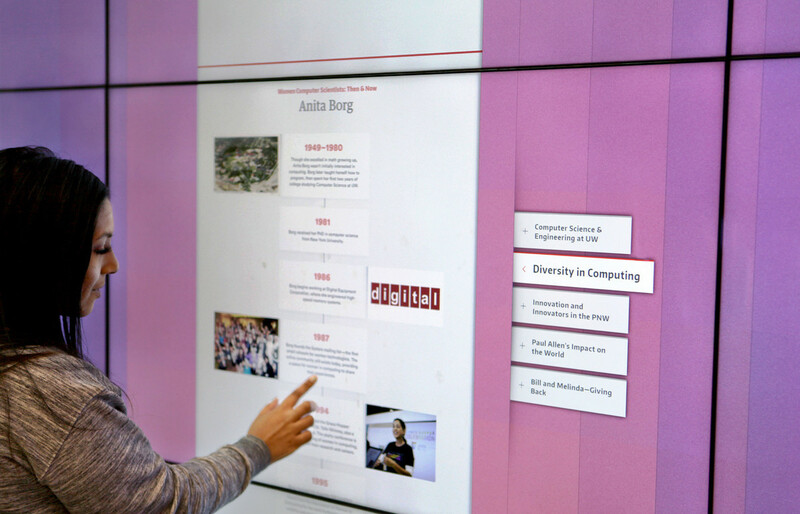 Students can filter Tribute Wall content by moving between multiple story categories. A number of video stories are integrated throughout, with audio available on the visitor’s mobile device. With a sweep of color, the Tribute Wall acknowledges a student and teacher as they make their way to class. 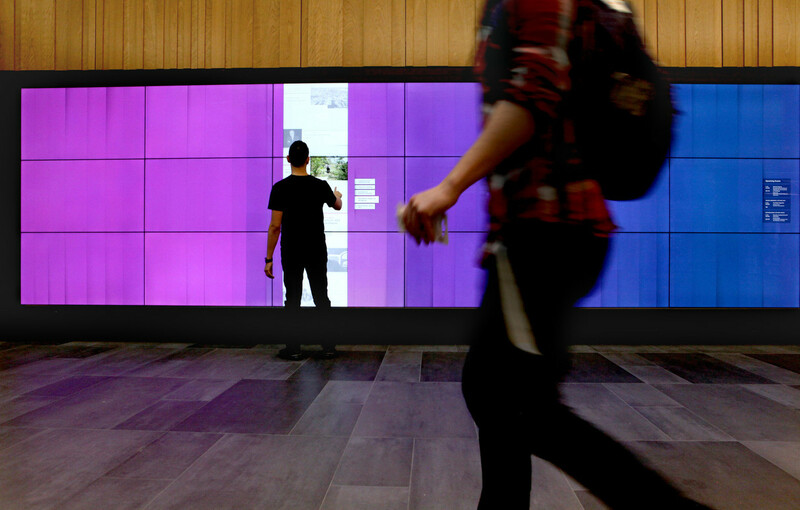 The Tribute Wall is an interactive media experience at the heart of the new Bill & Melinda Gates Center for Computer Science & Engineering. 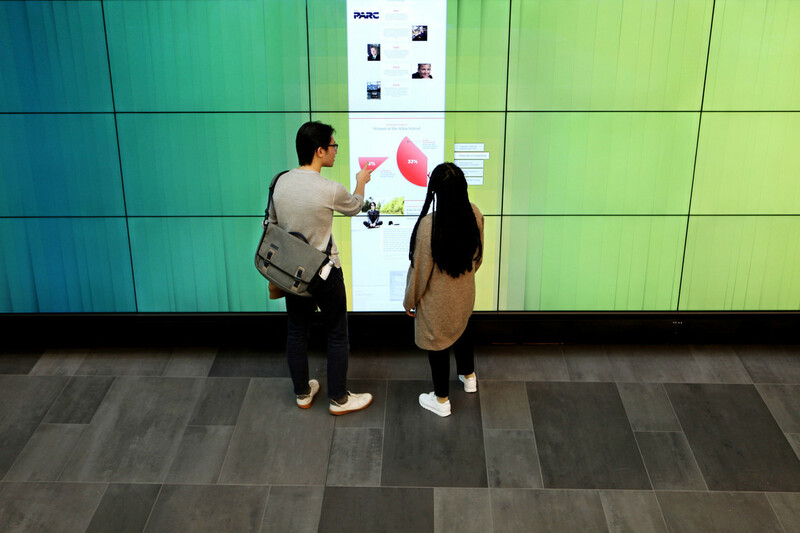 The wall invites and inspires students to become part of the Pacific Northwest’s computing history. 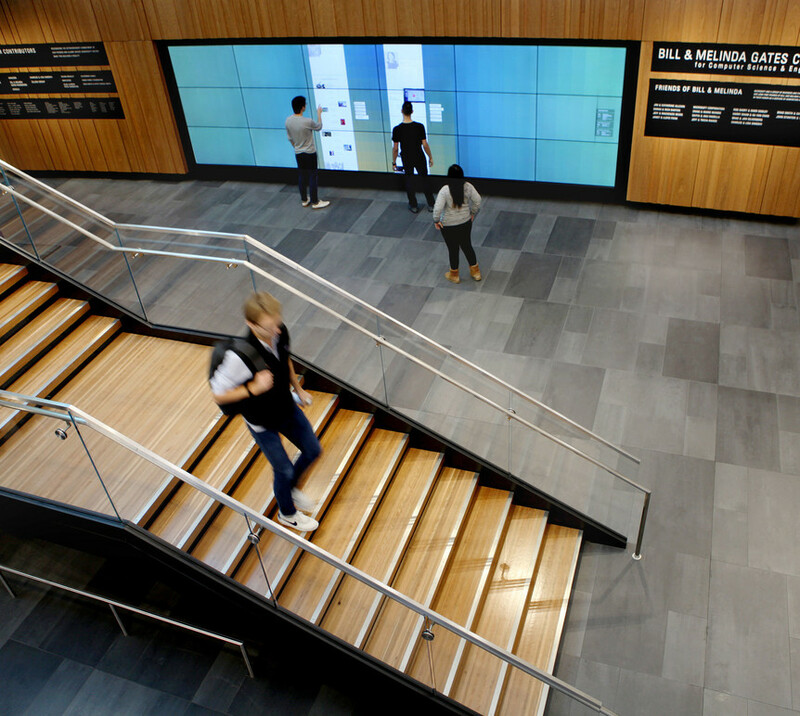 Belle & Wissell designed and developed the media experience in close collaboration with LMN Architects and the Allen School. 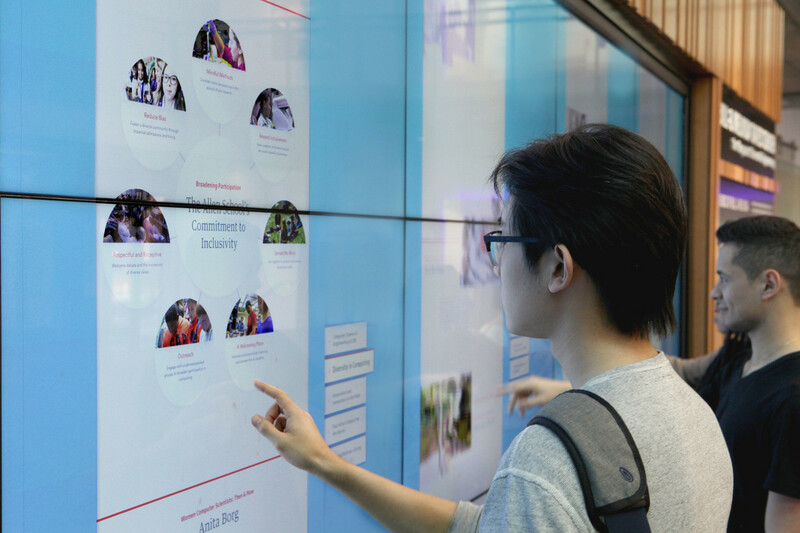 The wall of displays gracefully integrate with the building as an artful architectural element, yet comes to life with interactive storytelling as visitors approach the massive touch surface. 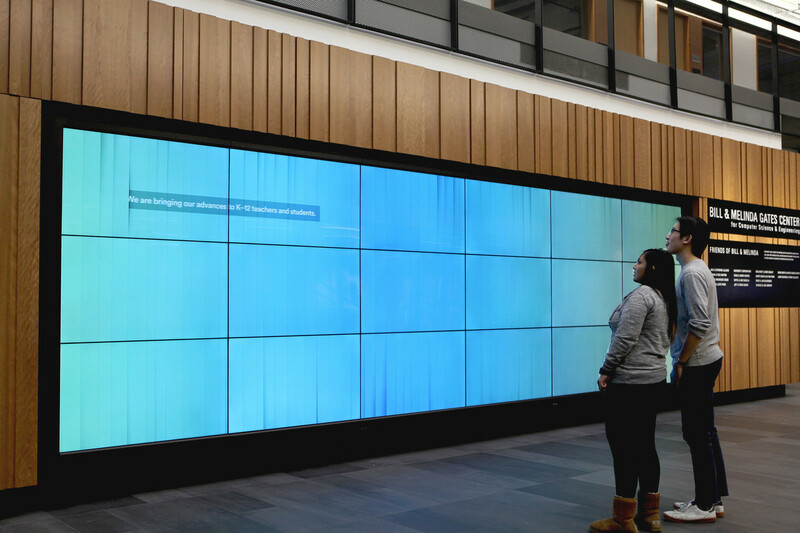 The Abstract Canvas Mode uses code-driven generative visuals to shift between an array of color palettes, motion settings, shapes, lighting effects, and typographic phrases to attract students from across the building. 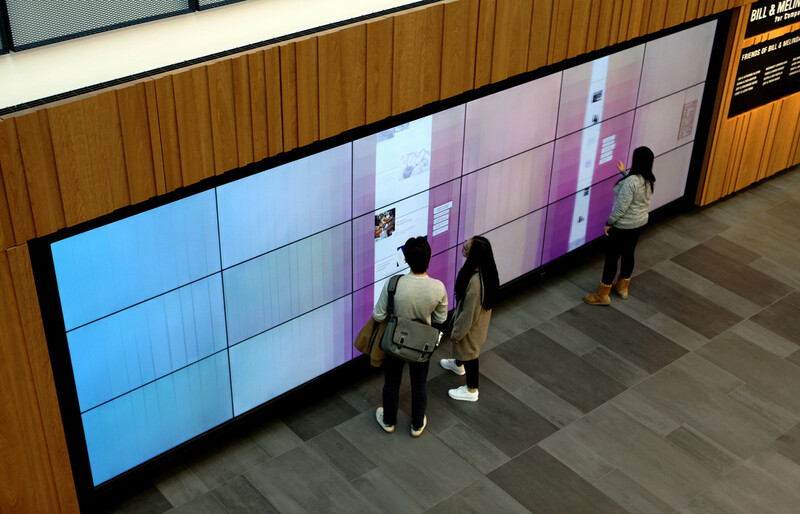 Sensors embedded at the base of the wall identify the user’s presence, triggering shifts in color and the appearance of story “hooks” to encourage touch. With the tap of a finger, interactive stories are revealed as curtains of content. 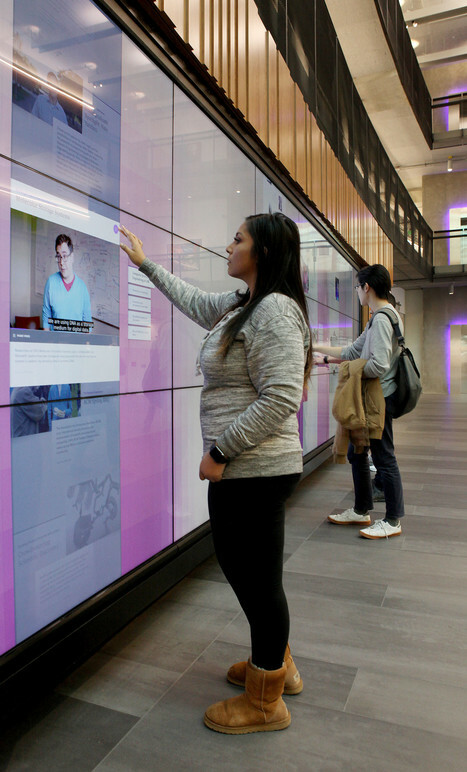 Interactive Story Mode profiles the long history of tech innovation in the Pacific Northwest—the University of Washington’s role in computing history, invention and entrepreneurship in the region, and how diversity in the field has improved at the Allen School and in the industry. Over 100 stories were developed by Belle & Wissell (with an array of contributing content partners). A custom-built content management system was implemented to author, arrange, and publish stories in a variety of layouts. Stories are organized in a series of editions, so a smaller set of featured stories display over time. The option to stream audio stories to the user’s mobile device includes audiences of all abilities.